We are recognized construction services provider in Gold Coast and Brisbane delivering prompt and efficient services. Our contractors attend both business and home for discussing several options offered in concrete finishing. We assist our clients in choosing the right color patterns suiting their decorative needs to complete the concreting infrastructure. We understand the importance of making perfect choices of construction services in Brisbane and Gold Coast from all perspectives. After the inspection of the job site, the price is quoted to avoid any kind of complaints and hassles. We engage in new concrete works, sealing, resurfacing, cleaning, cutting, rectification, removal, and grinding. Our industrial network is established with the major players in the industry, we ensure certainty of cost, quality and time for each of the projects steered by us. Clients are given a point of contact for supply and service in terms of all-inclusive network procedure in concreting operations. The combination of visual flair with fundamental integrity makes us the best choice for elegant and affordable solutions. Concreting is done on a wide range of surfaces comprising house and shed slabs, surrounds, patios and pathways, driveways, and much more. The vast choice of our concrete designs would surprise you. Stencils, stamps, slab designs, and sprays are always available with us for making concreting handy. Over these years we have established ourselves as one of the best in the industry ensuring topnotch construction services in Gold Coast and Brisbane. We possess vast experience and resources in providing different kinds of concrete facilities to our clients and fetching the best results. 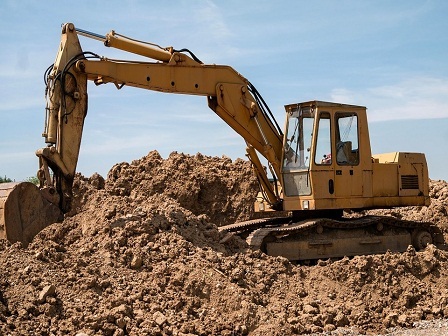 At PB Earthworks, we use cutting edge technology and skilled professionals to provide unmatched earthmoving, concrete and excavation services. Our factory trained specialists ensure generating a high-level of expertise and safety. Be assured that our operators deliver services that not only meet the industry standards but also exceeds our customer’s expectations.